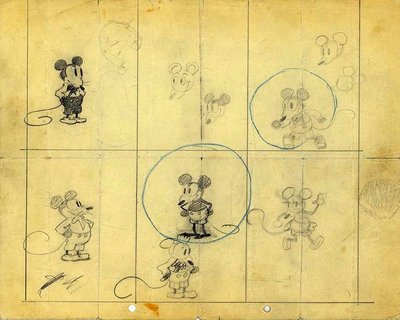 When Walt Disney was once asked why he didn't run for President of the United States he responded, "Why would I want to be President of the United States? I’m the King of Disneyland." 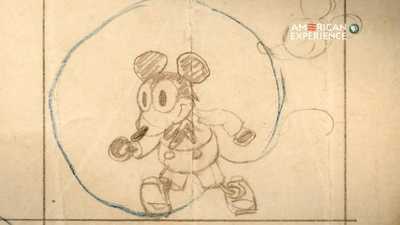 And while Disney had no presidential aspirations, plenty of past and future presidents did visit the amusement park, along with countless other celebrities, world leaders and politicians. 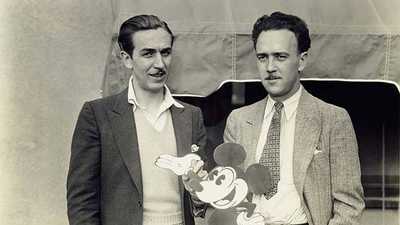 Browse a gallery of some of Disneyland's most well-known visitors. 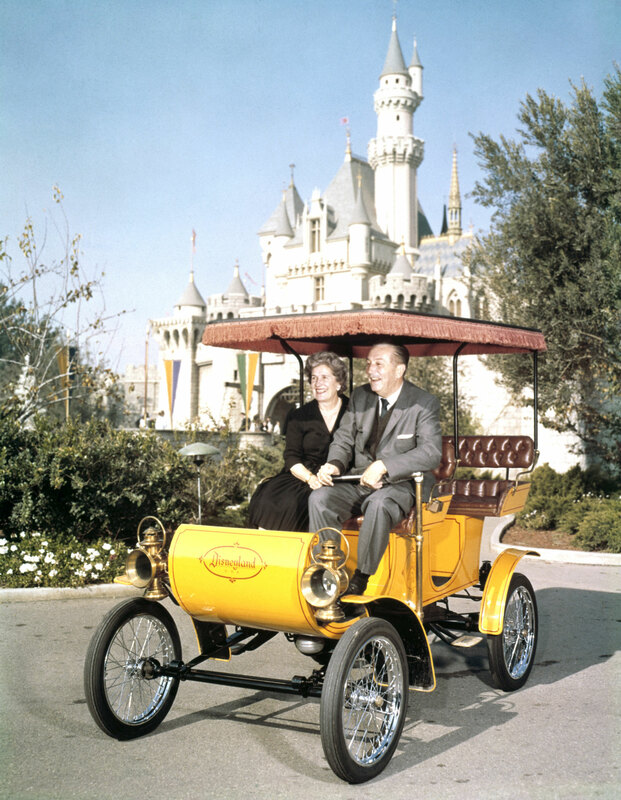 Walt Disney and his wife Lillian pose in an antique automobile at Disneyland in the 1960s. Disney had an apartment above the fire station on Main Street U.S.A. where he and Lillian often stayed on weekends. 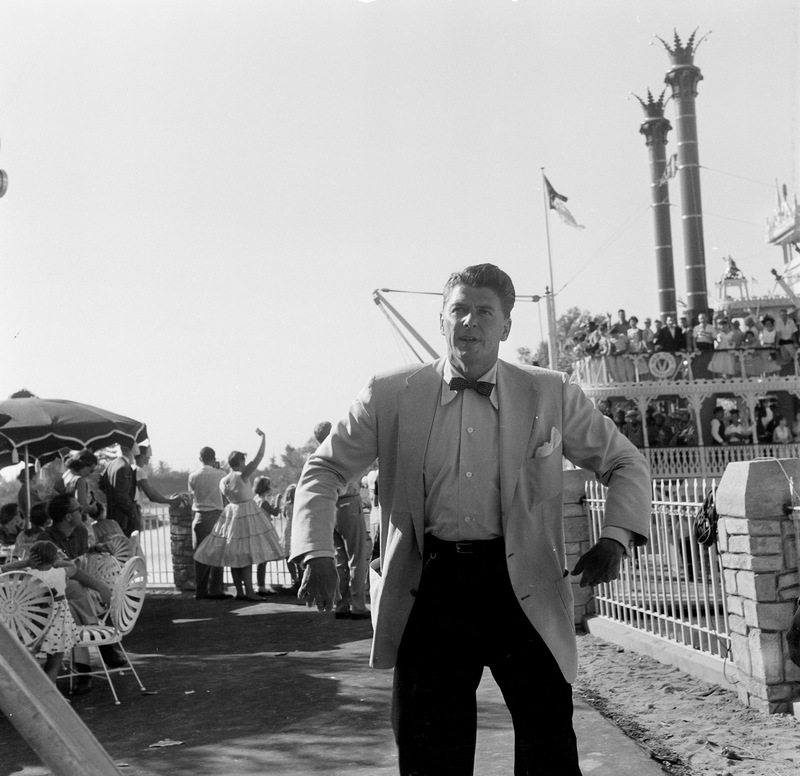 Actor Ronald Reagan was a host for ABC's live broadcast of Disneyland's opening day gala on July 17, 1955. 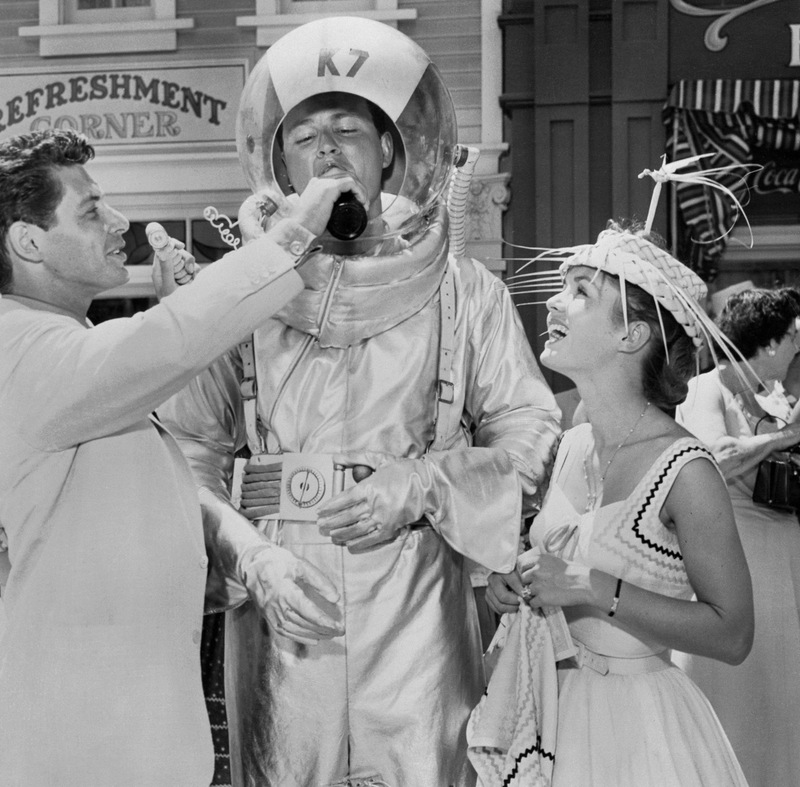 Eddie Fisher (left) gives a drink to aluminum-clad spaceman Don MacDonald as Debbie Reynolds looks on during Disneyland's opening day gala on July 17, 1955. Fisher was a featured celebrity guest on ABC's Dateline: Disneyland broadcast. 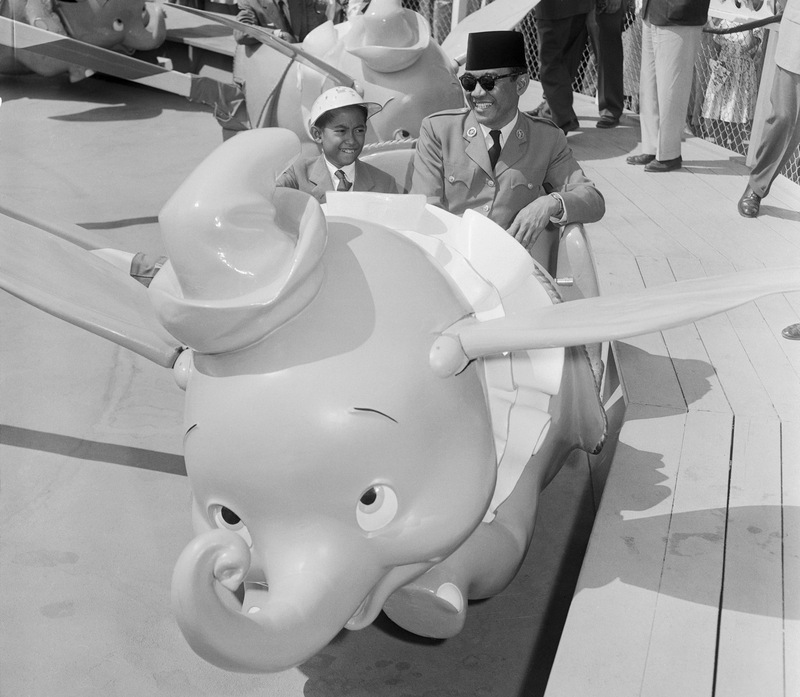 Dr. Achmed Sukarno, President of Indonesia, rides Disneyland's Dumbo attraction with his 12-year-old son Guntur in June 1956. 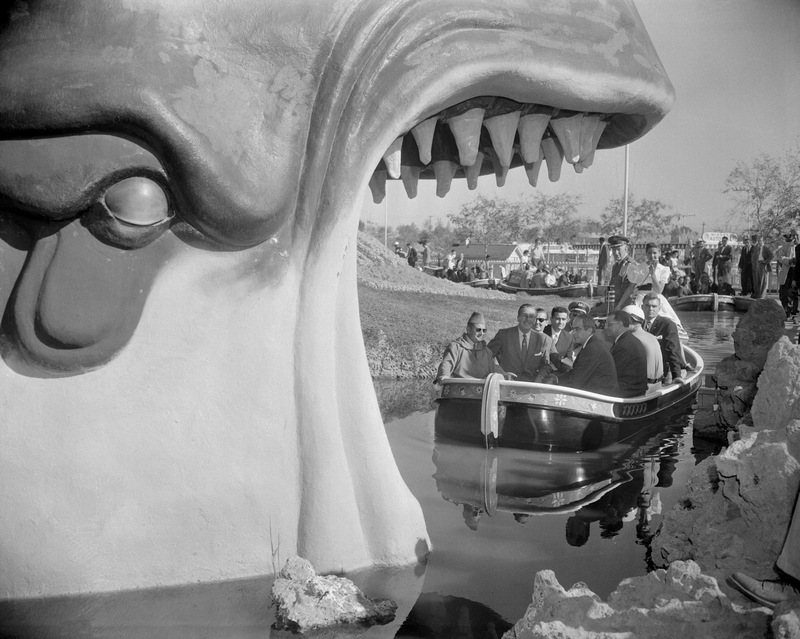 Walt Disney escorts King Mohammed V of Morocco into the mouth of Pinocchio's Monstro the Whale, part of the Storybook Land Canal Boat ride, in December 1957. Vice President Richard Nixon and family watch a parade at Disneyland with Walt Disney on June 14, 1959. 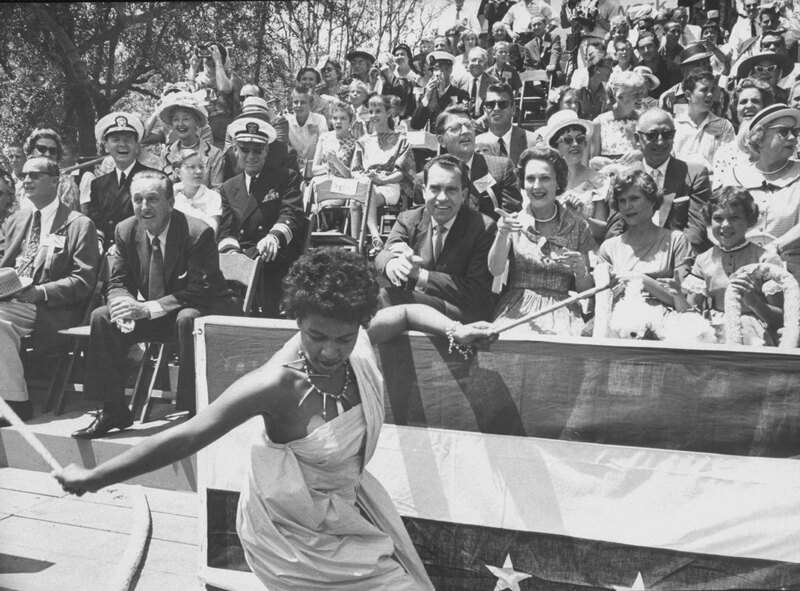 The Nixons visited the park for the dedication of Disney's new Monorail. 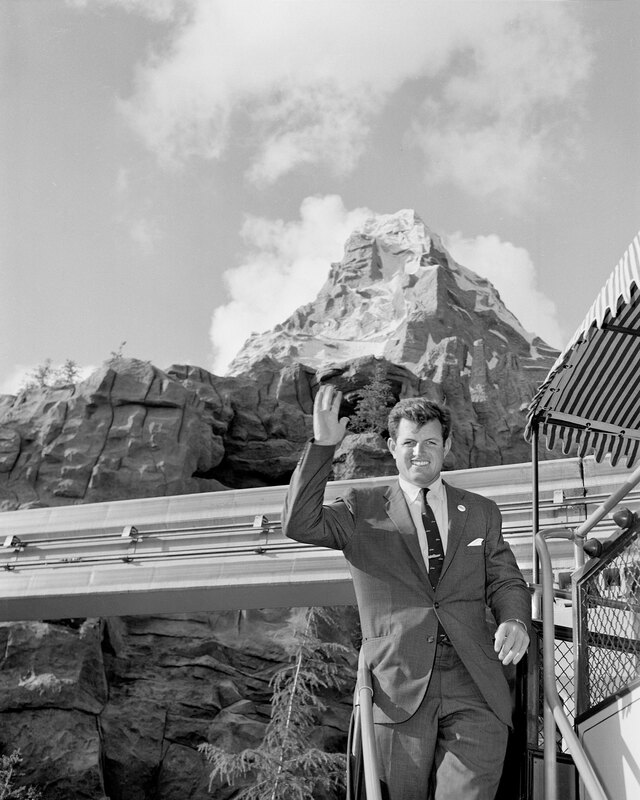 Future Massachusetts Senator Edward Kennedy visits the Matterhorn attraction at Disneyland in November 1960. 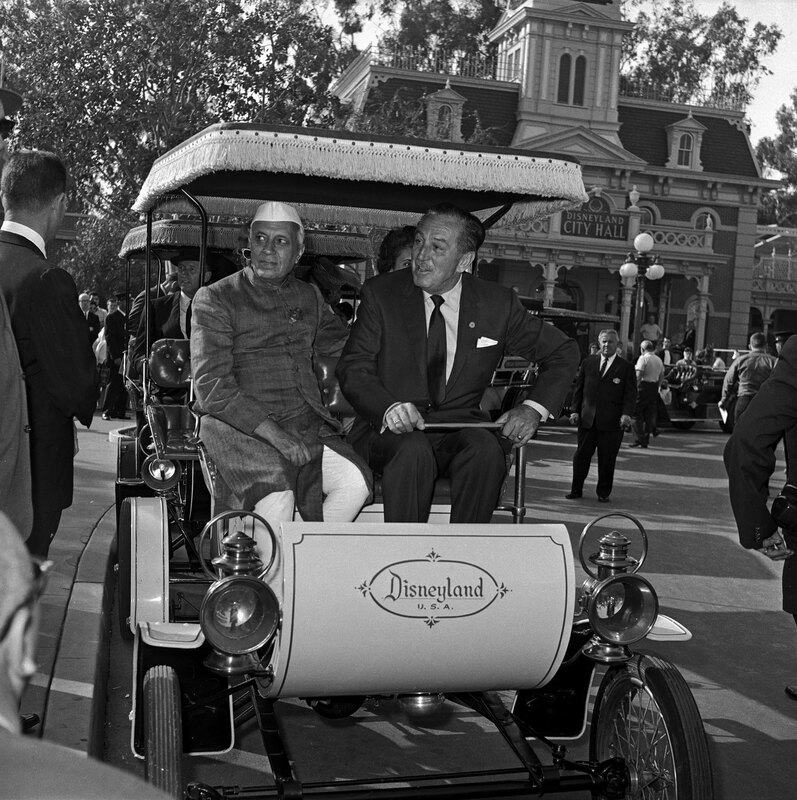 Walt Disney drives Prime Minister Nehru of India around in an old-fashioned electric vehicle during his November 1961 visit. 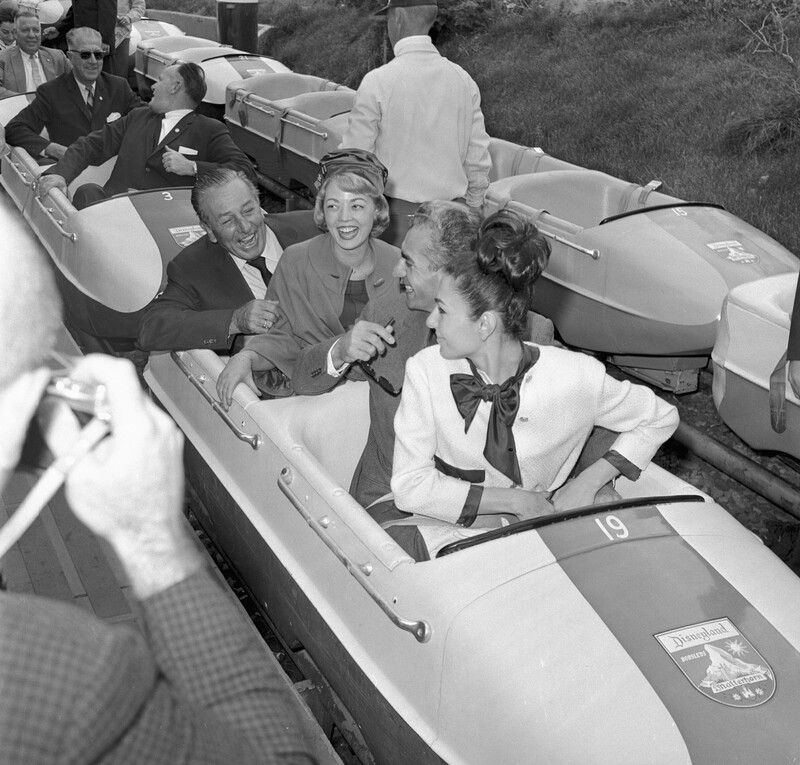 The Shah of Iran and Empress Farah (front) enjoy a bobsled ride with Disneyland hostess Donna Jackson and Walt Disney at Disneyland in April 1962. 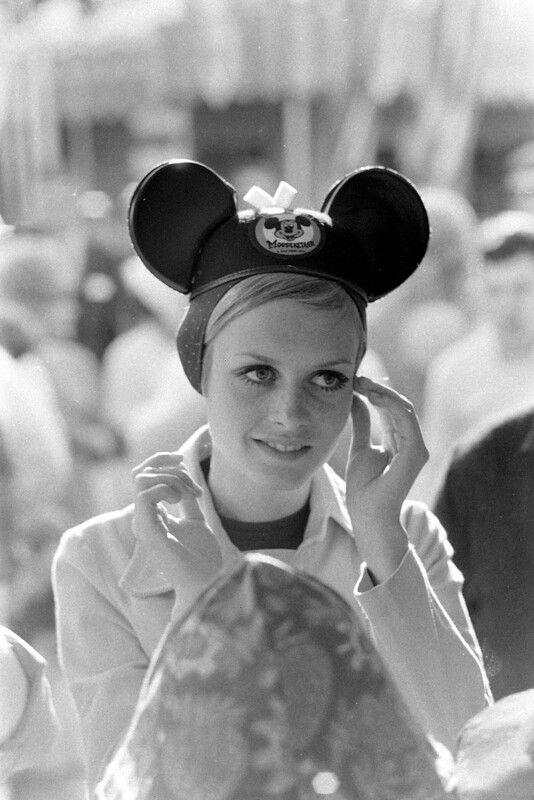 British model Twiggy (born Lesley Hornby, later Lawson) adjusts a pair of Mickey Mouse "ears" at Disneyland in 1967. She was at the park taping a segment for the film Twiggy: why?.